Our Energy Systems and Nuclear Science Research Centre (ERC) is a 9,290-square-metre facility that houses our unique-in-Canada education programs and research in geothermal, hydraulic, hydrogen, natural gas, nuclear solar and wind energy technologies. The ERC enables leading-edge research in clean and green energies and technologies, and promotes Canada's entrepreneurial advantage through public-private research and commercialization partnerships. Through its offering of programs in Nuclear Engineering and Energy Systems Engineering, the university is well-positioned as the premier training ground for the country's future energy scientists and nuclear engineers. Undergraduate, graduate and second-career training enrolment is projected to climb from 364 students in 2009-2010 to approximately 650 in 2012. This increase will help address the significant demand for next-generation professionals who are prepared to meet the needs of a rapidly growing industry and aging infrastructure and ensure Canada has the highly qualified workforce that it requires to remain globally competitive. These programs are complemented by Energy and Environmental options in the university's Mechanical Engineering, Electrical Engineering and Science programs. The ERC is the result of a joint $45.4-million investment from both the federal and provincial governments as part of the Knowledge Infrastructure Program. Full ERC operations commenced with the 2011-2012 academic year. The construction phase of the ERC November 2009 through August 2011 created 225 direct and 315 spinoff jobs. The ERC is home to the university's Faculty of Energy Systems and Nuclear Science (FESNS). 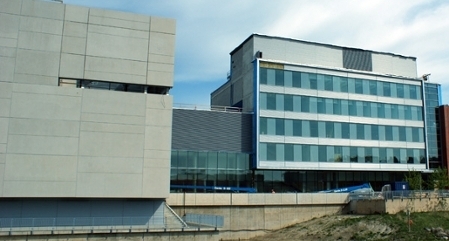 In addition to providing administrative space and offices for staff and faculty, the ERC features an extensive network of teaching and research labs of various configurations, which support both the Cameco Research Chair in Nuclear Fuels and the university's membership in the University Network of Excellence in Nuclear Engineering. The spacious, four-storey ERC features a spectacular glass- covered atrium, a 72-seat lecture theatre, three 50-seat classrooms, two 30-seat tutorial rooms with flexible seating, 12 labs, 11 student-study (breakout) rooms, dedicated working stations for graduate students and offices for faculty and administration. The ERC has indoor connections to the adjacent Business and Information Technology Building on the second, third and fourth floors. Teaching space within the ERC is equipped with multimedia capabilities that provide opportunities to expand the current roster of programs, allowing for future growth in new energy- related programs, further development of part-time distance learning opportunities and the expansion of the online degree completion option currently offered. 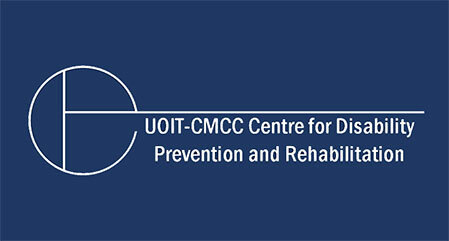 With additional space for the university's world-class professors to conduct innovative research, the ERC will provide more opportunity to increase the university's grant funding and will lead to the creation of new knowledge, intellectual property and commercial spin-offs that will serve Ontario's strategic energy agenda. The university's Bachelor of Engineering in Nuclear Engineering program is the first accredited program of its kind in Canada. The university is positioned to take the lead as the training ground for the province's future energy scientists and nuclear engineers and offers dedicated programs in Nuclear Engineering and Energy Systems Engineering to ensure a continued supply of trained professionals. 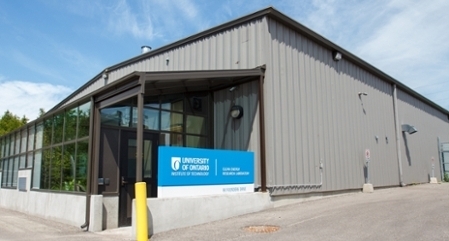 The university's Nuclear Engineering program features the most extensive nuclear power plant computer simulation of any engineering program in Ontario. The university is strategically located in Ontario's energy capital Durham Region, which is home to 10 nuclear generating units. FESNS professors Igor Pioro, PhD, and Glenn Harvel, PhD, are working on creating a fuel-channel conceptual design for a Generation IV Supercritical Water-Cooled Reactor, which will increase the efficiency of current technologies and lower energy production costs.